Cos I can always give my PC port to yooooou! Earlier this year, I binged my way through Psycho-Pass and quickly declared it the best anime I'd ever seen in over a decade. 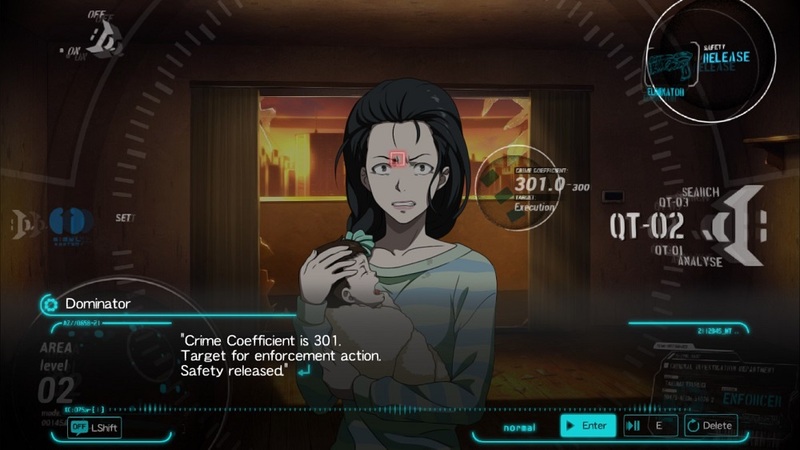 Granted, it was the only anime I'd watched in over a decade as Paranoia Agent had pushed the bar to unfeasible heights, but Psycho-Pass finally hit all the right notes. Its mix of Blade Runner and Minority Report, Hannibal mind games, and a familiar criticism of Japanese isolationism made for an exciting blend of hardboiled thrills and thoughtful philosophy. Plus, people exploded, like a lot. And despite the internet believing it was worse than 9/11, Psycho-Pass 2 wasn't all that bad (no, Psycho-Pass: The Movie was the awful one). Still, diminishing returns hasn't stopped me from wanting more of the universe, and given the show's popularity, someone also saw money in that. 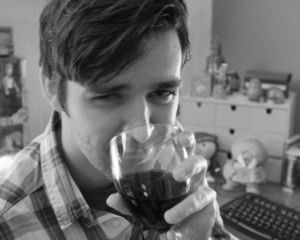 TV tie-ins are all but dead in today's climate, but even without my bias and Josh Tolentino's favourable review, Mandatory Happiness is a decent stab at bringing licensed games back. If you're unaware of the show, the basic premise is this: 100 years from now, Japan is governed by the Sybil System; a computer program designed to micro-manage everyone's lives for the maximum level of social harmony. Crime is virtually non-existent and stress is seen as a viral disease. People have to carefully manage their Hue, a colour chart designed to measure their stress levels, so the cloudier and darker it gets, the more likely their Crime Coefficient will rise. Those with high CCs are deemed "latent criminals" and are removed from society. This morally grey task is given to the MWPSB (Ministry of Welfare Public Safety Bureau); "detectives" who track down suspects, and if possible, eliminate the worst of them by lethal force. It's a dirty job, so only latent criminals called Enforcers can do it, and always on a short leash by their respective Inspectors. Needless to say, peace comes at a cost, both mentally and physically. Set early on in the first series, Mandatory Happiness puts you into the shoes of two new characters, Enforcer Takuma Tsurugi and Inspector Nadeshiko Kugatachi. The hot-headed Tsuguri is an Enforcer by choice, using it as a means to track down his missing childhood friend, while Kugatachi is an amnesiac with a cold demeanor ideal for Inspector status. Along with the main cast of Division 1, they partner up on a case involving Tsuguri's home town, where several random incidents trace back to one mysterious boy. All in all, Mandatory Happiness is less of a visual novel and more in line with your average two-part serial. It's a brisk read; reliant on branching paths and decisions that evoke the tough choices made throughout the show. 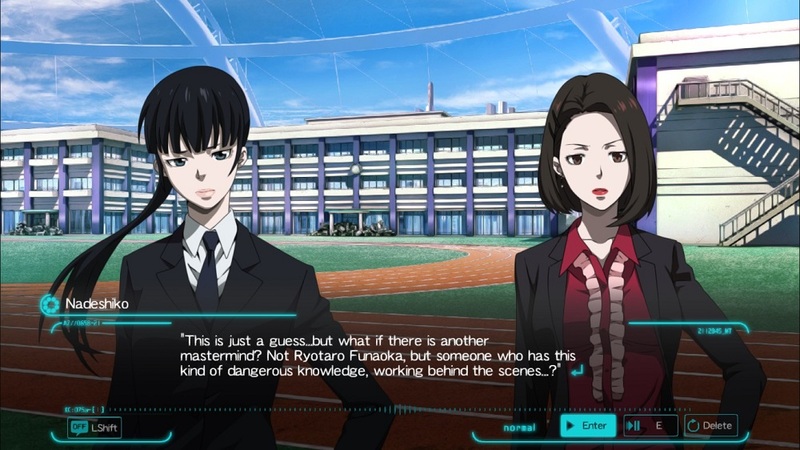 While it never quite emulates the slow burning dilemmas that made Psycho-Pass popular, it's still one of the better examples of a licensed game, due to its understanding of the source material; helped in no small part by having first series' writer, Gen Urobuchi, on board. 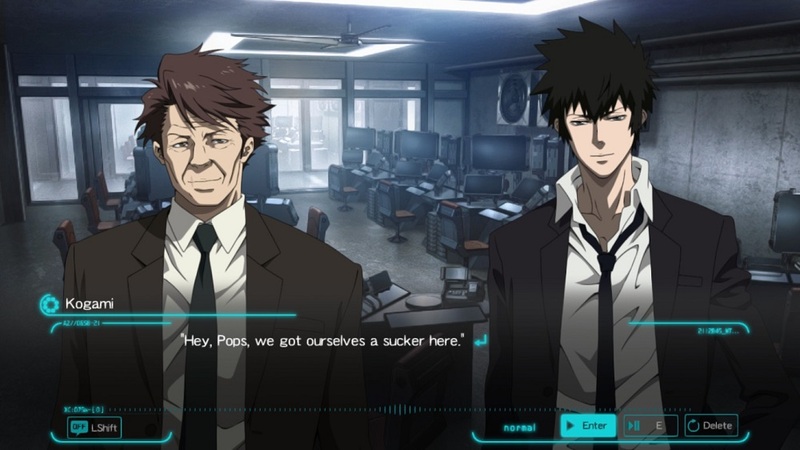 Kogami might be the fan favourite, but that doesn't mean his brutal methods are the best choice or that Ginoza's reliance on the Sybil System makes him a terrible detective. Mandatory Happiness might essentially be fan service, but its not sycophantic. By testing viewer loyalty and exploring the dynamic of Inspectors and Enforcers, Mandatory Happiness' decisions have weight to them, even when they're arbitrary. Even though you're essentially playing the same story twice, both Tsuguri and Kugatachi play/read somewhat differently. The Enforcer's decisions are more brash, while the Inspector is more reserved. It also helps that between the bigger beats, their personal stories and interactions veer off into wildly different directions. Though well written, Mandatory Happiness requires several playthroughs to see the whole picture, along with some very unsatisfactory "true" endings. It's a story that leans heavily on twists and turns, but when they're so telegraphed, repeated plays for the best ending deflates the reward. While it's not quite Steins;Gate or 999, it's certainly more invested than Telltale Games' recent output, to which it shares some mild similarities with. Being a visual novel, there not much to talk about its re-release as a PC port. It's actually a considered affair, with some nice touches like the Chibi-Akane mouse cursor, fully customisable controls (pad included), and volume levels for every character. Graphical resolution goes up to a crisp 1920x1080p with the option to play full screen or windowed. It also accommodates for Intel HD laptops, which is always nice when I just want to couch play. The only real negative about the resolution is that reveals some of the corner cutting with its digital art. The cast look perfect and clean, but for the dramatic scenes, lines look jaggy and even in static, the art rarely matches the quality of the series. That's really down to a lack of budget, given how much of the big action moments are written and rarely seen, but some minor smoothing out could've helped. 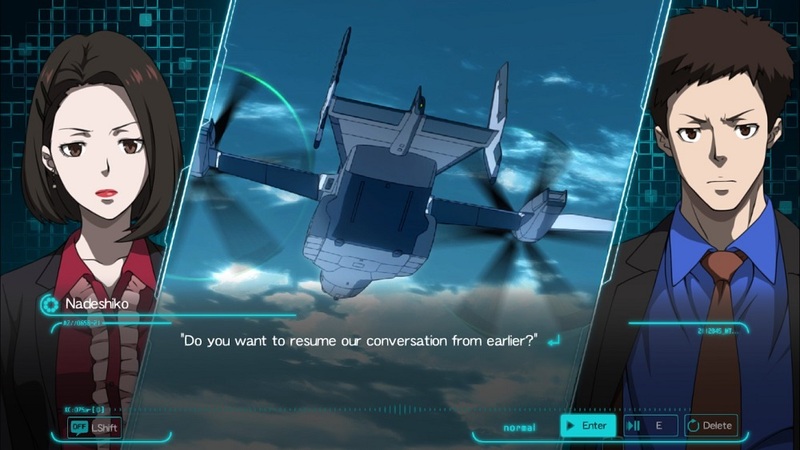 Despite all that, Mandatory Happiness' PC port clearly had more effort put into it than the lackluster treatment of Tokyo Twilight Ghost Hunters, an otherwise excellent visual novel. 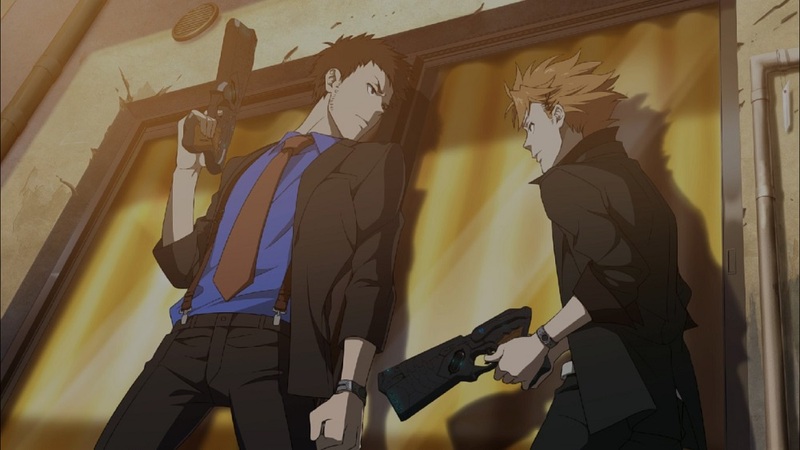 Psycho-Pass: Mandatory Happiness is clearly "one for the fans," but it also does right by them. After a quiet launch on consoles, it's good to see it get a second chance on PC. Being based on a hit TV show, Mandatory Happiness brings something fresh and accessible to the usual visual novel fare. Also, as someone who collects licensed games (don't ask, it's a love affair that started with The X-Files and almost ended with Lost: Via Domus), it's just a joy to see a solid license for once. Sure, it's not going to kickstart a TV tie-in revolution nor does it come close to the quality of Westwood's Blade Runner, but it is a great example of what happens to the concept when you respect and care for the material at hand.